Seriously. With TEN KEYS CHANGE, you'll be able to perform even more than twenty card changes and it looks so magical - one right after another! Sounds impossible, but this technique really works. And I'll teach you how to do it. Download the video and learn how to perform incredible-looking, multiple card changes. 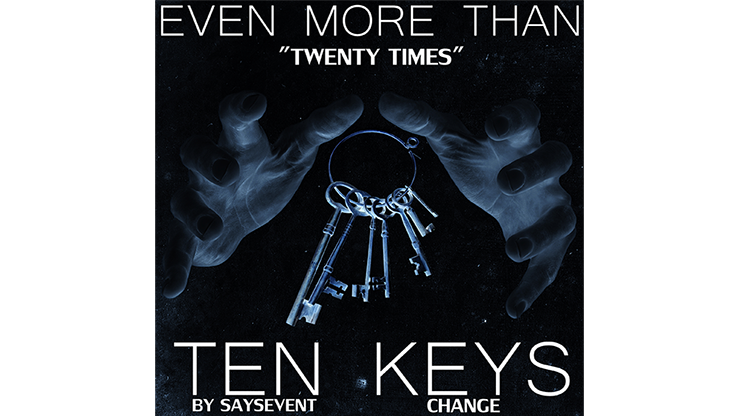 TEN KEYS CHANGE by SaysevenT video DOWNLOAD You've seen magicians perform a card change (or "color change"). But how about twice in a row? Have you ever seen that? How about five times? How about twenty times - you've never seen that many in a row? Well, keep reading!